Find the right medical alert jewelry wherever you are in the world. 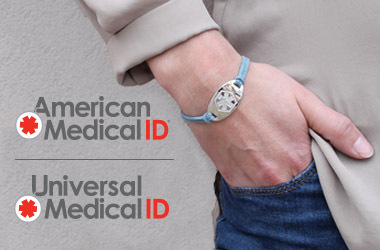 Through our brands American Medical ID and Universal Medical ID, we manufacture high quality medic alert bracelets, necklaces, and more that help support you to live a safe and independent life. We serve customers from our HQ in the USA and globally via our businesses in the UK, Canada and Australia. Whether you have a health condition, allergy or take medicine, anyone who should wear a medical alert can enjoy medical IDs that reflect their own style and personality. 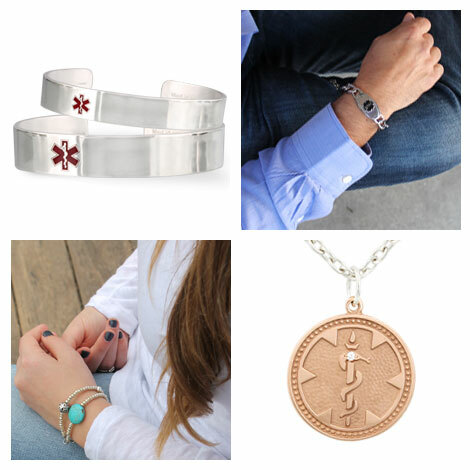 Choose from our large selection of medical alert jewelry, created with over 20 years of experience in making stylish, functional, and high quality medical ids for all ages and gender.